Since the publication of the Waste Strategy for England and Wales in 2000, significant changes, largely driven by EU law, have revolutionised how waste is managed nationwide. However, through a wealth of changing policies, voluntary commitments and industry-driven guidelines, one message has remained clear – finding a sustainable way to manage our waste is a critical national priority. When we consider the impact of dwindling landfill capacity, increasing disposal costs and EU-driven recycling targets, the increasing importance of this task becomes clear. While frequently changing legislation and a seeming lack of direction have often staggered our progress towards finding an alternative to landfill, it has also inspired industry-driven developments through R&D, equipment innovation and process efficiency. In the UK, the development and implementation of waste management process is left to each local authority. Existing infrastructure, available finance and accessibility are all weighed up to develop a bespoke approach deemed suitable for the area. As such, the recycling processes for two identical streets situated minutes apart can be entirely different. One authority may segregate food waste, paper and glass, while another may bulk all recyclables together in one single bin. When considered on a national basis, the notion of good recycling is lost in a maze of alternatives. While this approach may work economically for kerbside collections, it continues to pose a challenge for reprocessors. These differences in collection styles have created a need for more effective sorting technology to help processing plants quickly and easily process multiple waste streams. Significant investment in specialist MRF systems has therefore been made to enable the recovery of useful materials wherever possible, minimising the volume of waste sent to landfill. Processing plants want one encompassing solution that can process vast quantities of co-mingled material quickly, enabling them to meet challenging recycling targets. With increased volumes of materials being recycled every day, plants need to ensure that sortation is as automated and streamlined as possible to avoid downtime. For effective sortation of recycling, Stadler develops specialist solutions, tailored towards the requirements of individual processing plants. We offer a range of ballistic separators that have been carefully designed for the efficient processing of paper, plastics, mixed dry recyclables, non-hazardous industrial waste, demolition waste, domestic waste and more. Flexibility is the key to our design process, enabling our solutions to seamlessly integrate with our ballistic separator for complete 2D/3D material separation in new single-stream systems. Separators are generally integrated with other third-party systems and technologies, enabling our plants to operate their own bespoke systems capable of rapidly and efficiently processing waste from different local authorities. The need to maximise productivity and minimise cost is essential. This has driven the sector towards digitisation, largely in the form of automation and robotics. Stadler itself was behind the creation of the world’s first fully automated sorting plant ROAF in Skesmokorset, Norway, towards the end of 2015. Since then, we have experienced growing demand for increased automation, independent sorting and integrated plants and components. Our response is a company-wide investment in the development of bespoke Programmable Logic Control (PLC) software for plant controls, and 3D technology for the design of bespoke sorting solutions. The industry is continually seeking out higher-quality operations and for most recycling plants; this means either slowing down existing sorting operations to be more thorough, or investing in higher-quality sorting technology. As a result, we are generating enquiries from recycling plants that are asking to retrofit existing sorting systems to help solve quality issues. Through 3D laser scanning, we can create point clouds of an entire recycling plant, enabling us to build a bespoke sorting solution that perfectly fits the space available. Services such as this are critical for small and medium-sized reprocessing plants, which often cannot justify the funds required to continually invest in new equipment. As a result, many plants are paying closer attention to the equipment they already have installed, not just retrofitting existing machinery for enhanced efficiency but carrying out regular servicing and maintenance as well. Increased demand on reprocessing centres to meet more challenging targets places greater pressure on equipment, which in turn has more frequent failures and more expensive repair costs. 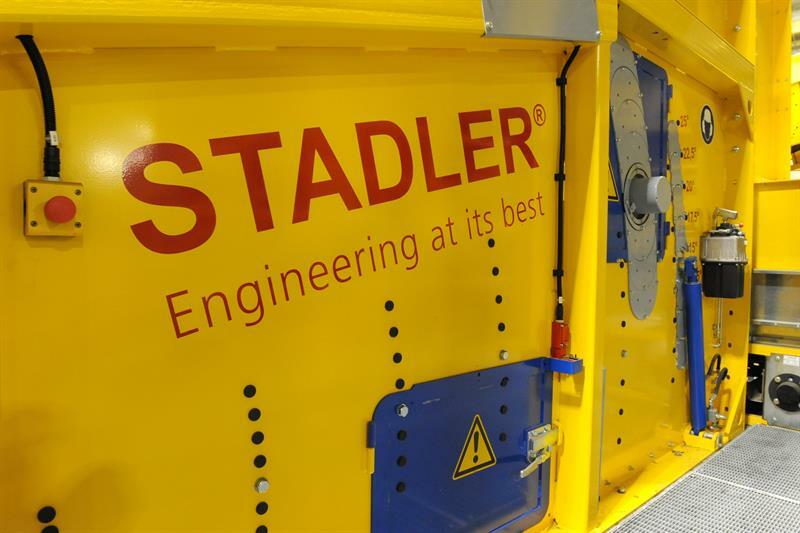 An area where Stadler is helping reprocessing plants to realise lower downtime and reduced repair costs is through frequent machinery maintenance. Stadler has always had a service and maintenance presence in the UK with our fully stocked service centre in Whittlesey, Peterborough. However, with the sector placing more priority on productivity, we recently offered customers the opportunity to sign up to a Stadler service agreement where our specialist team carries out on-site maintenance, allowing plants to concentrate on the operational side of the business. This is a growing area of service for Stadler and one which will continue to grow. Throughout 2017, we carried out a number of plant upgrades, many of which saw optical sortation replacing manual picking lines. We continue to advocate technological solutions which result in increased throughput and recovery rates, therefore enhancing the overall recycling rate. The next legislative challenge concerns ongoing Brexit negotiations. With much of the UK’s recycling legislation being handed down by the EU, it remains to be seen how much of this will continue to be enforced once a Brexit deal is reached. There is already speculation around incentivising recycling according to the environmental impact and value of the material, rather than using a weight-based target. Plastics is also set to become a focus, with legislation banning microbeads confirmed from January 2018. All of this points to an even greater focus on effective sortation. We believe the UK will continue to follow many of the policies enforced by the EU as the industry works to compete with the rest of the globe. Additionally, there are several other challenges which we are helping customers to prepare for. We are already seeing that the quality of recycled products is becoming stricter, with export and import regulations changing the requirements for each individual country. Progressive circular economy targets will also put pressure on consumers and councils to increase recycling rates further. Fast and efficient processing of waste through highly sophisticated, automated sorting solutions is going to be key to helping the sector continue to meet these targets and remain nationally and globally competitive.